ASUS today announced the launch of ZenLooks, a regional online design competition that invites all aspiring, creative designers and artists to test their skills and have a hand at creating their own ultimate gadget accessory – a new case for the stylish ZenFone 2. 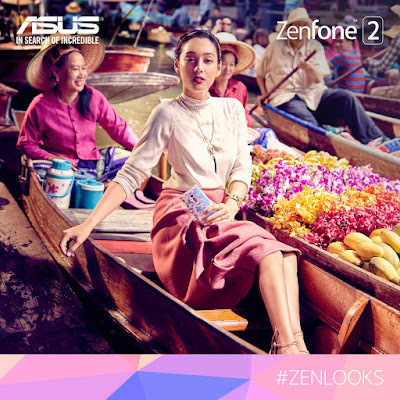 The ZenLooks competition, which runs from November 9 – December 6, is inspired by ASUS’ recent Incredible Catwalk collaboration with Filipina fashion icon Kim Jones, wherein ASUS and Kim created Southeast Asia’s ultimate fashion story across seven different countries. Kim modelled a selection of ZenFone 2 cases in the Incredible Catwalk campaign, including the case designed exclusively for ASUS by popular Italian beauty and fashion vlogger, and international YouTube personality, CutiePieMarzia. “The ZenFone 2 is this season’s most versatile accessory and it looks right at home next to Kim in our Incredible Catwalk fashion story. And now, we are proudly launching our ZenLooks campaign, inviting aspiring accessory designers all over the Philippines to showcase their creativity, and design their very own ZenFone 2 case. The Philippines’ most talented accessory designers are set to join the ranks of global YouTube icon CutiePieMarzia who has already created her own ZenFone 2 case.” shares Jamie Zaldivar, Asus Philippines Marketing Manager. Interested participants are encouraged to enter using the recently launched Incredible Catwalk fashion story as their inspiration, images and videos of which are already available at http://www.facebook.com/ASUSph. Ultimately, each submitted ZenFone 2 case design should be inspired by the Philippines’ unique and unmatched heritage, aesthetic identity, diverse culture, striking landscape, and iconic elements. Visit the ASUS Philippines Facebook page at http://www.facebook.com/ASUSph. Click on the ZenLooks app. Follow the steps to create your ZenFone 2 case design by uploading your own original photo that captures the Philippines’ iconic elements. Likewise, you may use the Incredible Catwalk image of Kim Jones in the Philippines as the inspiration for your own design. Submit and share your case design, and hashtag with #ZenLooks on your Facebook, Twitter or Instagram to check out the other designs from the Philippines. From 9 November to the 6 December 2015, one (1) winner will be announced every week, totaling four winners at the end of the design challenge. 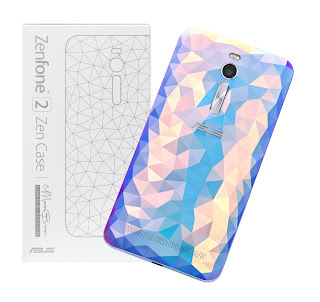 Weekly Prizes: Each weekly winner will take home their very own ZenFone 2 Deluxe (worth PHP 17,995.00) and the limited edition ZenFone 2 case designed by CutiePieMarzia. Grand Prize: Out of the four weekly winners, a Grand Prize winner will be selected to collaborate with the design team at ASUS to have their winning case design manufactured.